You know what makes almost everything better? Remembering that you have a sweet, chocolatey treat waiting for you in the freezer. And when that sweet treat tastes like your favorite chocolate candy cup from childhood, but doesn't hurt your stomach & make you feel bad about yourself? Hey, even better! Really, though - these mini chocolate cups will one-up any old Reese's or Justin's. 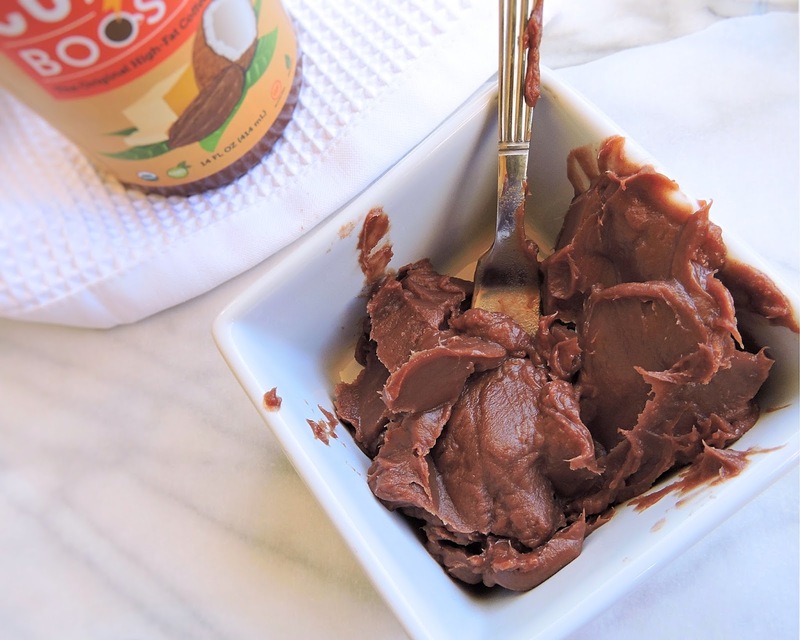 Because the filling in these is so much more than nut butter. It's a sweet, creamy layer with the perfect buttery flavor: just like your favorite frosting. 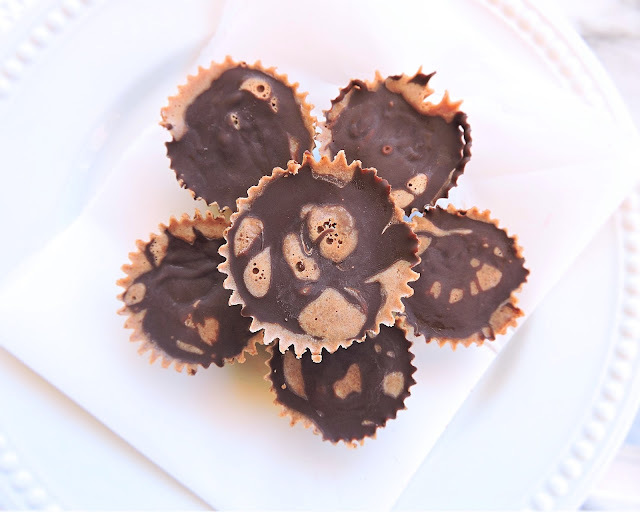 Like an almond butter cup and a buttercream truffle had a baby... Which is pretty hard to beat! But my favorite part about these chocolatey treats is what's inside. If you read my Whole30 Guide to Coffee, you found out about my new obsession: Coffee Booster ~ a blend of grass-fed ghee, virgin-pressed coconut oil, and raw cacao powder. It's meant to be blended into your morning coffee for a yummy boost of healthy fats to start your day and keep you full. 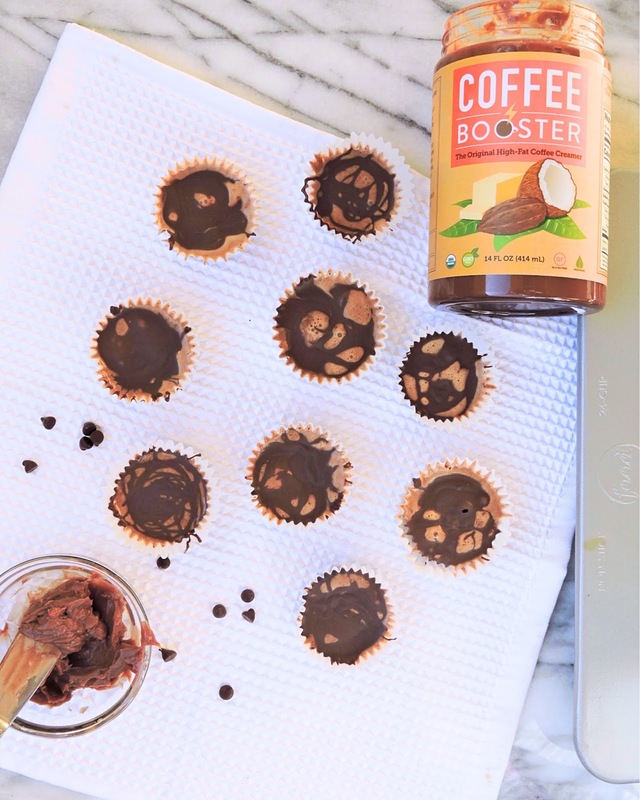 While I seriously cannot live without it in my coffee, I knew as soon as I read the ingredients list that I could do so much more with my jar of Coffee Booster. So far I've used it as a replacement for butter or coconut oil in Paleo baked goods like my Chocolate Chip Trail Mix Cookies and Frosted Fudge Brownies, to add the perfect texture & chocolatey flavor. 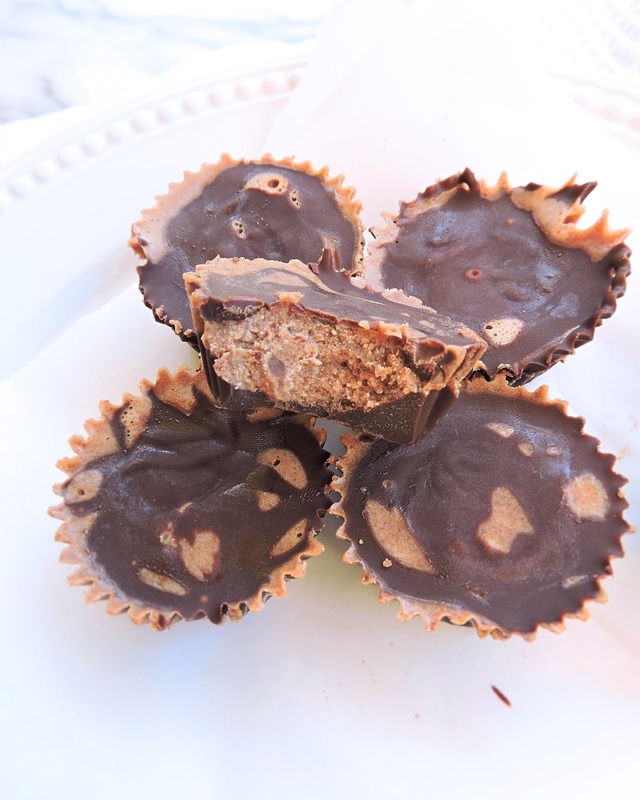 And now I've incorporated it into these decadent Chocolate Almond Buttercream Cups that I have been dying to share with you! My favorite part about Coffee Booster, besides the amazing chocolatey flavor, is its texture. We keep our jar at room temperature, as its totally shelf stable. It lives in our "coffee cabinet" with our coffee pods, mugs, and French press. It never gets too hard, and always is so creamy smooth - looking like its just waiting to be slathered on something delicious. Now remember~ even though this yummy fat has the word "coffee" in its name, it doesn't taste like coffee! (For some reason my brain kept thinking it would on first impression.) The flavor is complete buttery, fatty goodness with a rich chocolatey taste from the raw cacao. 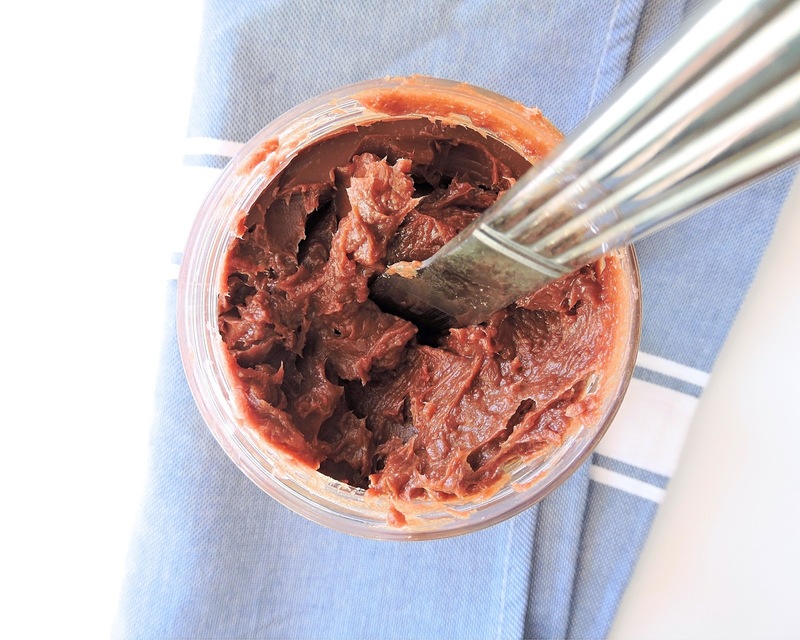 If you're drooling now, and interested in getting ahold of a jar for yourself, head over to their website at www.coffeebooster.net or pick it up through Amazon! With its irresistible flavor, top-quality ingredients, and huge versatility, I know you will love it! 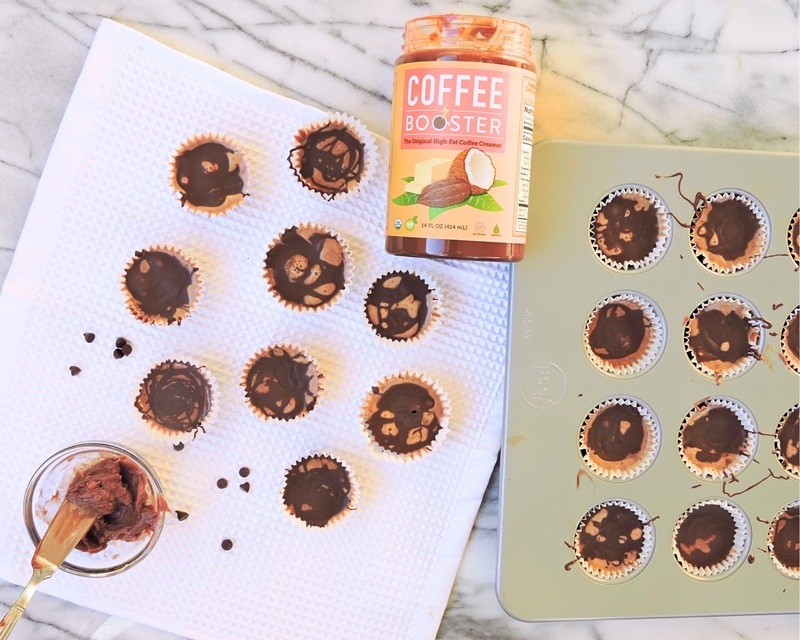 Enjoy these Chocolate Almond Buttercream Cups chilled in the freezer for a sweet, creamy treat, brought to you by Coffee Booster! Line a mini muffin tin with 24 paper cups. In a medium bowl, stir together 1/4 cup Coffee Booster, 1/4 cup almond butter, 1/4 cup coconut sugar or maple syrup, salt, and almond extract. Set aside. In a microwave-safe bowl, heat 2 cups of chocolate chips with 2 tsp of Coffee Booster for 20 seconds at a time, stirring in between, until the chocolate is shiny and almost all of the chips are melted. Stir to make it smooth. Spoon about half of the melted chocolate equally into the 24 cups. Drop a small spoonful of the almond buttercream mixture into each cup. Spoon the remaining melted chocolate on top of the filling, smoothing it over evenly or drizzling it over top (easier & less stressful). Place the cups into the freezer until set. Store in the freezer, taking a serving out to thaw about 2-3 minutes before eating. Enjoy! 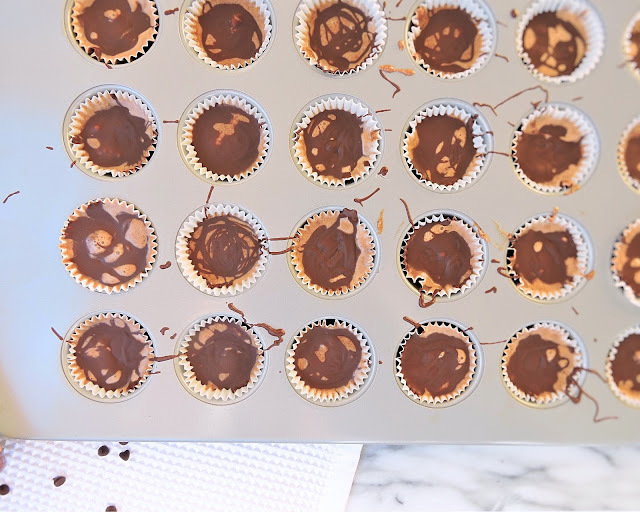 If you want these to look like a perfect Reese's peanut butter cup with a solid chocolate layer on top, make sure you press your first layer of chocolate up the sides of the cups just a bit - making a small hole for the filling. Smooth enough chocolate over top of the filling to cover it up.